Robin the Mercenary 2 is back in town! 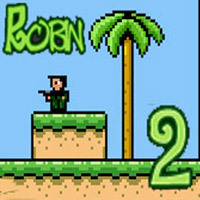 This time, Robin is equipped with a machine gun and there is new bugs and new weapons and new powerups to choose from. Collect enough coins to buy an automatic gun even! addless games.